Whether you're a blockchain novice or a crypto connoisseur, we welcome you to The Daily Bit. 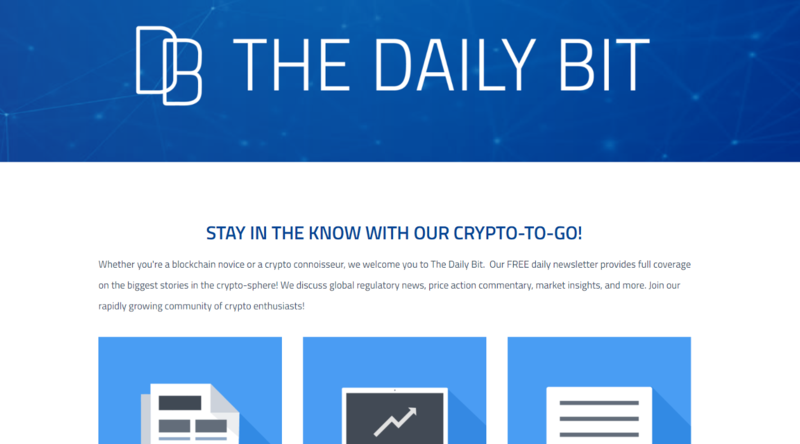 Our FREE daily newsletter provides full coverage on the biggest stories in the crypto-sphere! We discuss global regulatory news, price action commentary, market insights, and more. Join our rapidly growing community of crypto enthusiasts!